Dumbbells have been known to be one of the simplest and the quickest way to get your muscles worked up. These small yet extremely effective workout tools have been known to provide results that are magnificent and satisfying for those who love to keep themselves in uplifted shape. As our schedule is occupied with various activities related to our work and personal lives, it may be difficult for many of us to dedicate particular time for working out. Going to the gym is a little difficult every day as your timing may not allow you to work out the way you wish to. They give you the kind of workout results you have been aiming for. This is why most women around the globe feel that dumbbells can be the best pick to give you a quick and fantastic workout. Dumbbells are also convenient to use for women. With these, experimenting with different kinds of dumbbell exercises for women becomes much easier. 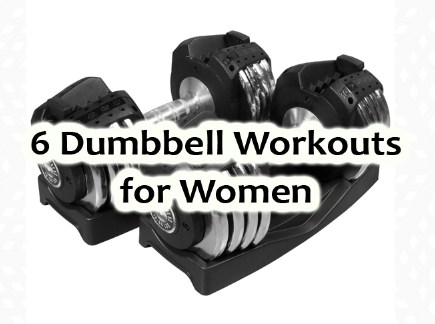 Here is a list of dumbbell workouts for women. The myth that women should not perform exercises that pump their biceps is as discrepant as how some men believe that only the upper body should be worked and sculpted. Working out the biceps is also crucial and with dumbbells, this can be done in a variety of different ways. For getting your biceps working and also for toning the arms, dumbbell arm exercises for women can be started with bicep curls. You can select the weight that you are comfortable with. This is crucial while performing any exercise as the right amount of weight can make a huge difference. That is why blindly lifting heavy weights for biceps may not deliver the results you are expecting. Hammer curls is another way to work your biceps. The idea behind bicep curls is to strengthen the muscles and bring them in right shape that can be achieved by perfecting the technique. You can also perform bicep curls in an isometric format where you hold one arm halfway and perform the bicep curl with the other. Performing exercises that have variations such as top halves and bottom halves with the dumbbells is also a part of strength and endurance training for your biceps. Triceps too are important when it comes to arm exercises for women. To start with, you can perform overhead extensions. There are different variations as to how these overhead triceps extensions can be done. You can start with less weight and more reps and then move ahead with the set increasing the weight and increasing the number of reps. Overhead extensions can also be done the other way round where you start with more weight and fewer reps and move ahead with less weight and more reps. Triceps kickback is another exercise that is simple and can be performed at home without difficulties. Shoulders too can be trained with dumbbells. You can perform shoulder presses with dumbbells. Go extreme or light as per your comfort but do not compromise on the technique. Mac raises are also an effective way to give your shoulders the hefty burn. Combining this with pushups is just another way to increase the level of difficulty. You can also work your shoulders with side raises and front raises. It is imperative to train your legs as they are the base of your body without which your whole body strength is only limited to half. Using dumbbells for squats is a good way to start training your legs. Use the dumbbell weight and hold it near to your shoulders while doing the squats. Squats too can be done in sets and with variations. Go for bottom halves and top halves and full range. Sumo squats are also a good way to burn fat around your inner thighs and strengthen the muscles in that area. Tiger squats can be performed by standing only on your toes. This posture is good for endurance and building the strength of your legs. Doing lunges after a good set of squats is like icing on the cake! Well not exactly. Lunges after squats will significantly improve the way your legs are being shaped. You can hold the dumbbells on each side and perform variations such as keeping the front or the back leg on a raised platform and then doing the lunges. While crunches are the traditional way of working on your abdominal muscles, including dumbbell weights when exercising your core will give you a new kind of burn. Exercises like Russian twists and boat position holds can be performed while holding dumbbell weights. All of the mentioned exercises can be carried out at home. You can design a schedule and sets according to your free time and work out better by following techniques that will help you perfect your form and deliver results that will be amazing. 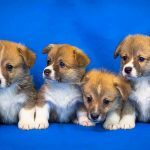 There are also sources on the internet which will help you to design full body dumbbell workouts routine for women and train well and without hassles. The only thing which should be kept in mind is that the technique should be perfected. 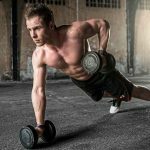 Performing fewer reps with the correct technique will be more fruitful than doing more reps with a compromised technique.